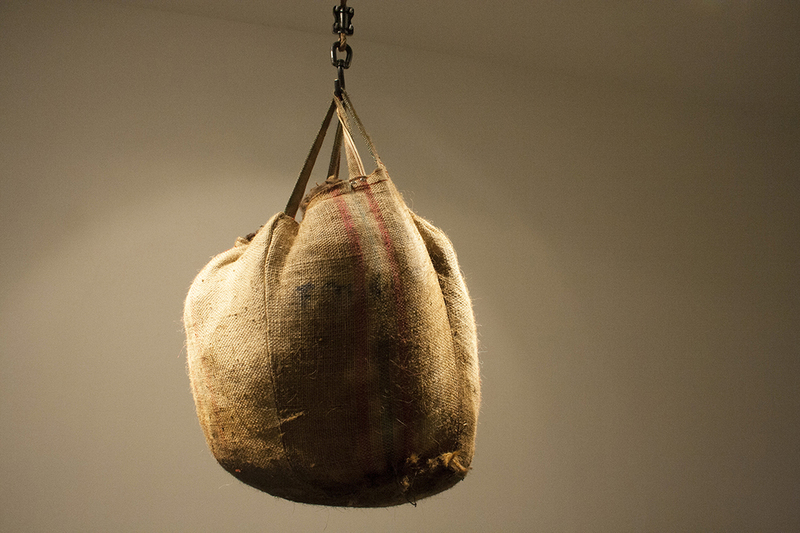 Cast concrete, fabricated steel, patina, rope, burlap, and raw sheep wool. (variable) In installation 12' x 10' x 20'. Bounty was exhibited in February and March, 2016 alongside two other sculptures in a solo exhibition titled 'Homesteading' at Hamiltonian Gallery in Washington DC.